SHERWOOD — One hit here. One play there. It may have made it a whole different game. 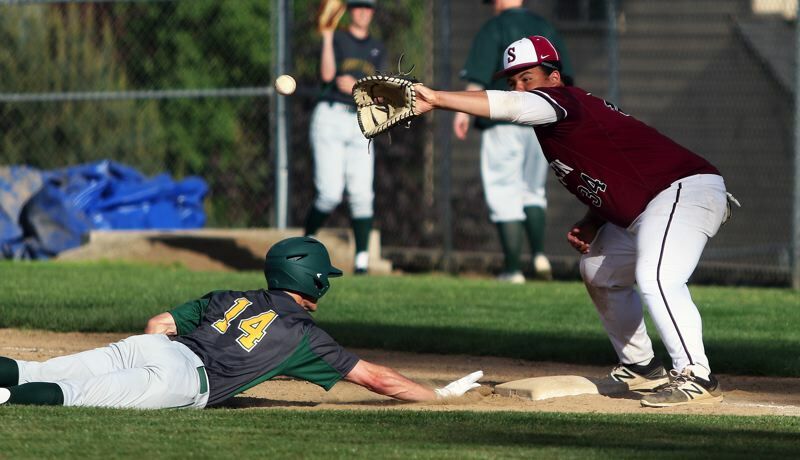 Nevertheless, the Sherwood High School baseball team was going to battle to the end. 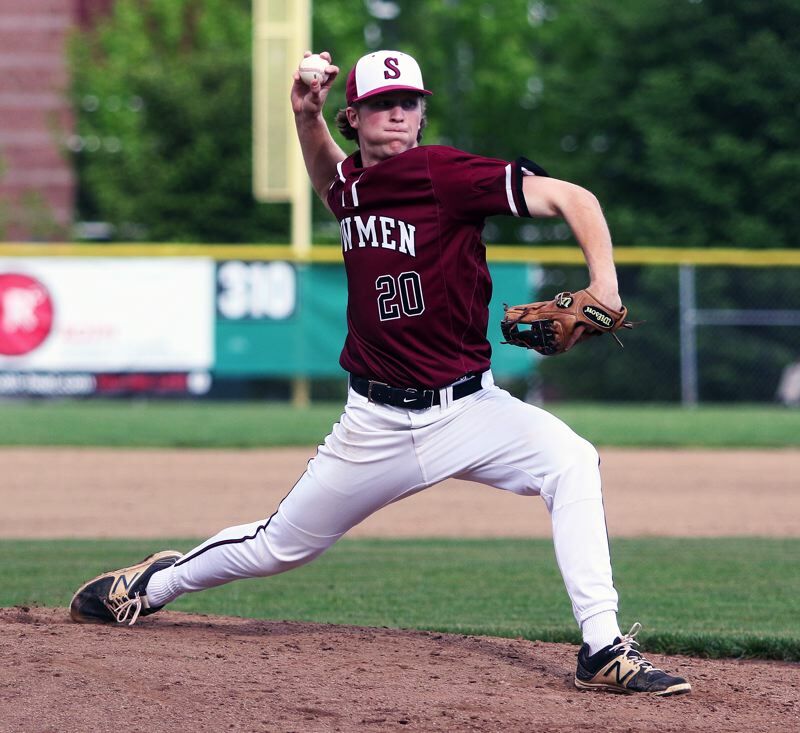 The Bowmen, hurt by some missed opportunities early in the contest, fell 7-2 to West Linn in a Three Rivers League game played Tuesday at Sherwood High School. "We stuck with our approach early," Sherwood senior outfielder Bryce Vaughn said after the game. "We had a couple opportunities early that we didn't capitalize on. But it's nothing we can't fix for tomorrow." With the win, West Linn improved to 12-3 in TRL games (16-7 overall), keeping the Lions alone atop the league standings. Sherwood moved to 10-5 in TRL play (15-7 overall), putting the Bowmen in fourth place in the league standings. Sherwood will finish its TRL schedule with a 5 p.m. game with West Linn on Wednesday, and then a home game against the Lions on Friday. Both of those games are slated to start at 5 p.m. If they win both, the Bowmen have a chance to claim a share of the league title. "We want to end league on a strong note," Vaughn said. "We had a good week last week (sweeping Lakeridge), we had a tough week with L.O., other than that we went to have a good end to league." 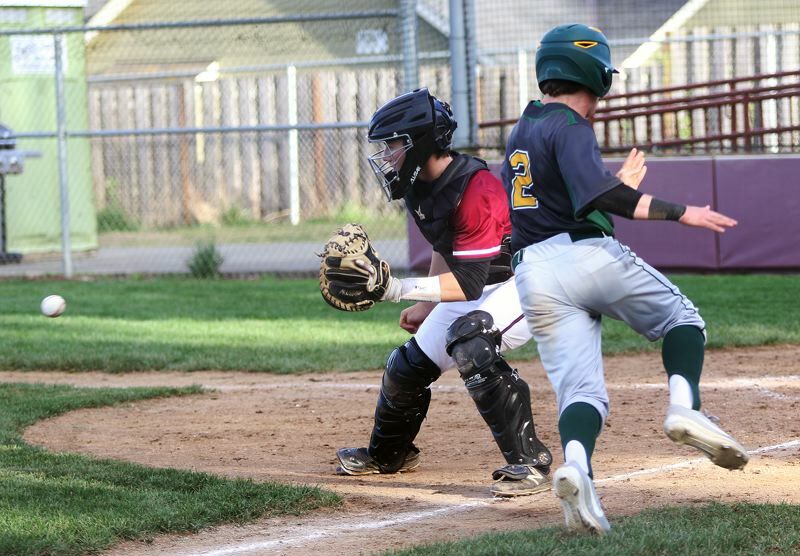 West Linn, in Tuesday's game took a quick 1-0 lead with a run in the top of the first inning. Sherwood tried to answer back in the bottom of the frame. The Bowmen, getting hits by junior Anthony Garrett and senior Hayden Gilbert, and a walk by senior Nic Garrison, loaded the bases with two outs. But West Linn senior pitcher Joey Campbell coaxed an inning-ending groundout to get out of the frame unscathed. The Bowmen also threatened in the bottom of the third, with Vaughn reaching third base with two outs, but he was left stranded. It was more of the same in the bottom of the fourth, as senior Riley Aggson hit a one-out double, but Sherwood couldn't take advantage. With Aggson pitching strong, the Bowmen still trailed by just the 1-0 margin going into the fifth inning. But West Linn, getting a two-run home run by junior J.J. Hoover, pushed the lead to 4-0. 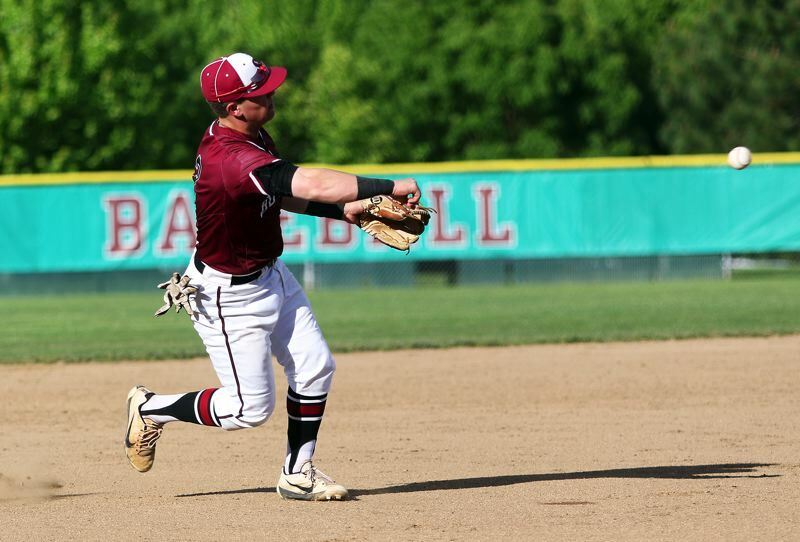 The Bowmen were able to break through and get a run in the bottom of the sixth inning. Gilbert hit a one-out double to left-center field. He moved to second on a wild pitch and the scored on Garrison's sacrifice fly to deep center field, trimming the margin to 4-1. But the Lions struck again with the long ball in the top of the seventh inning. This time, it was a two-run home run by senior Garrett Marioni, helping West Linn up the lead to 7-1. Sherwood, battling to the end, got singles by junior Sage Dunaway and Vaughn in the bottom of the seventh. 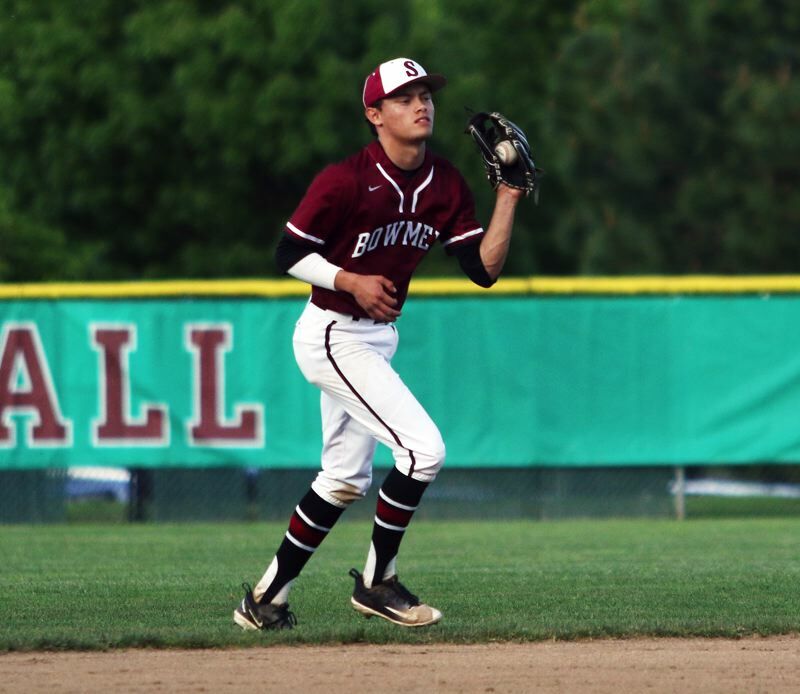 Bowmen junior Noah Beeks, who reached base on a fielder's choice, ended up scoring on a single by senior Jacob Matzat, making the final score 7-2. "That's something we want to always do," Vaughn said of battling to the end. "We want to finish out. You never want to let go early. We had a couple chances late, but you don't want to wait until the seventh inning to get going." Sherwood, as a team, had seven hits in the contest. Gilbert went 2 for 4 at the plate. Aggson, Vaughn, Garrett, Dunaway and Matzat had one hit apiece. Prior to Tuesday's loss, Sherwood scored an 8-1 win over Lakeridge in a league game played Friday at Lakeridge High School. Gilbert went 3 for 4 at the plate in that game with a double, a run scored and an RBI. Garrett and senior Takumi Kammerzell each had two hits and two runs scored. Dunaway had two hits and drove in two runs. The Bowmen, following Friday's league finale, will play Central Catholic in a non-league game Saturday, starting at 11 a.m. at Sherwood High School. They'll also play a non-league game at Gresham on Monday, starting at 5 p.m. After that, Sherwood will likely be moving on to the Class 6A state playoffs. "Playoffs are a huge thing for us," Vaughn said. "We've got a couple games between the regular season and the playoffs, and we want to end on a good note."